"Stephen was a great guy. He was always trying to help others, and his passion for the ocean was amazing. 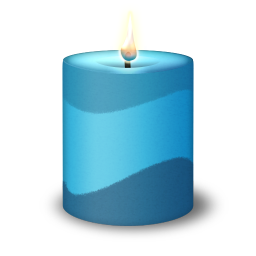 Sending prayers and condolences to his family and his lovely fianc�e Jane. Stephen truly met the love of his life, and he will be missed by many. " "Remembering sharing laughter and fun experiences traveling to Iceland Norway Amsterdam and Scotland with Stephen. He was a very special man in so many ways; compassion, warmth, empathy just to name a few. He will be missed. " "Dear family and loved ones, Stephen has provided support and care to all in his life and I was no exception. He taught my teenage son how to scuba dive in a safe way once he was certified..it was calming to a nervous mom. we both were puppeteers with "Kids on the block" in the public schools, but when I myself ended up in a wheelchair, he helped me to continue while ill. He was a mentor to many including me with CWA 3104 guiding so many of us. He could be stoic and serious, but also provided comic relief. He answered my call at 2am after there was an accident in the hospital that nearly was my undoing. He and his wife came to my home and guided me through the night. Definition of a friend: is: someone you can call for help at 2am. We loved you then, we love you still. Be at peace, beautiful soul. John and Gay Kranick "
"With my most Heartfelt Love and sincere Prayers for Steve's family may he rest in loving peace...Such a kind hearted pleasant friend thru out all the years I knew him as Bell Folks Always in my Heart." "So many memories of Stephen.....he was a good friend, and co-worker,a good person, he cared, loved helping others. Always will have good memories of Stephen. He was one of the "good ones" and will be truly missed...my condolences to the entire Attis family and Jane. Rip Stephen. God just got another true angel. " "It was an HONOUR to work with Stephen many years ago on the United Way. Knowing him has made me a better person, RIP Stephen, God Bless, Marina"